Conor Maynard attended the Brit Awards 2013 at the O2 Arena last night in London. The singer from Brighton wore a nicely tailored suit, and matched it with a pair of Acne Hans striped slip-on shoes. Love the pairing of the sneakers with the suit, I think it worked very well here. Kind of reminded me of how Lanvin style their runway collections. I think a bigger smile would have elevated the look from nice to great. Not happy about the Brits results? 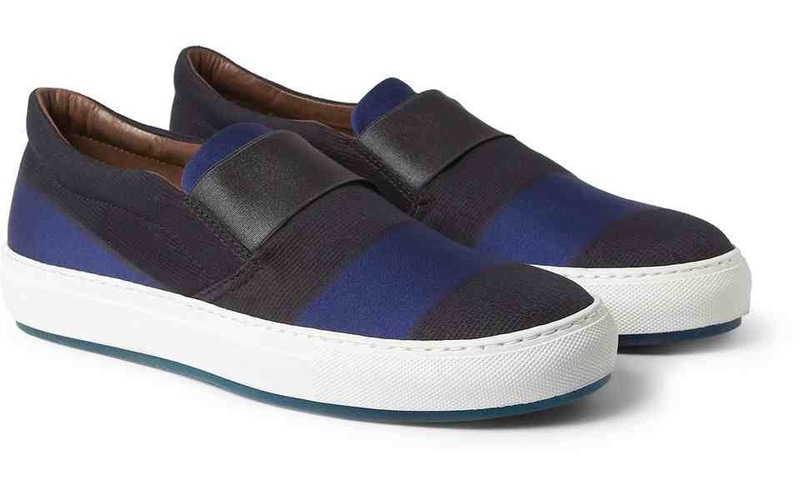 You can get the Acne Hans striped slip-on shoes online from Mr Porter International and Mr Porter (US).